StairMaster Club Track 510 Plus treadmill features an enhanced controller and console which allows the user to change speeds on the fly. The consol is user friendly and has simple instructions and a customizable welcome message screen. The StairMaster Club Track 510 Plus also boasts heart rate control and 20 preprogrammed workouts. The treadmill is C-safe compatible and has a powerful 2 hp motor. 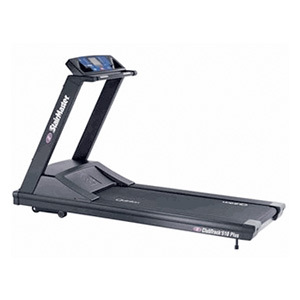 This treadmill great features and its two sided Tripleflex deck belt and 20” wide running surface makes this treadmill a great commercial choice. Belt Proprietary low-friction polymer that requires no further waxing or lubrication for the life of the belt.